13 Qt. 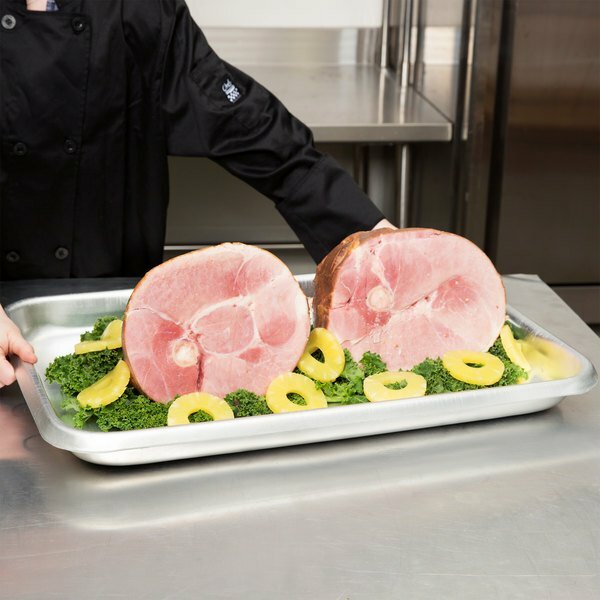 Aluminum Roast Pan - 26" x 18" x 2 1/4"
The perfect piece for holding and cooking multiple roasts, hams, or turkey, this heavy duty 13 qt. roast pan is ideal for large volume baking! Use it at your restaurant, hotel, or when prepping for catered events. The 13 gauge aluminum construction is designed to take the abuse that comes along with commercial use, while the reinforced rolled edge ensures added strength during repeated use. 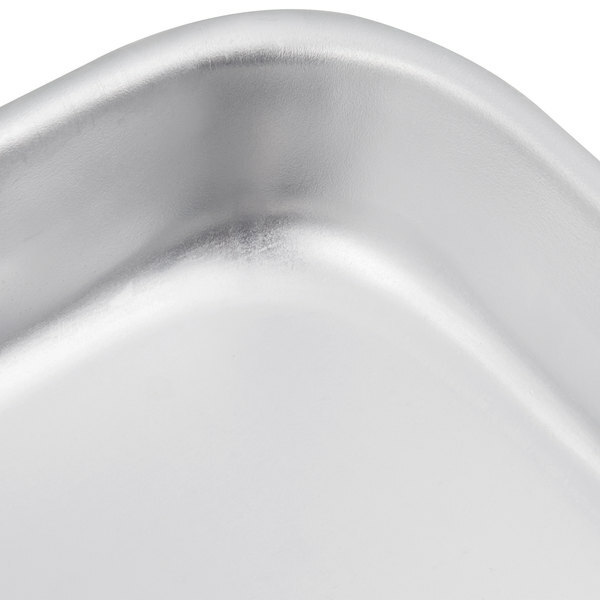 Rounded corners minimize food waste and offer easy cleaning, while an ample 2 1/4" depth gives your roasts plenty of room to rest. 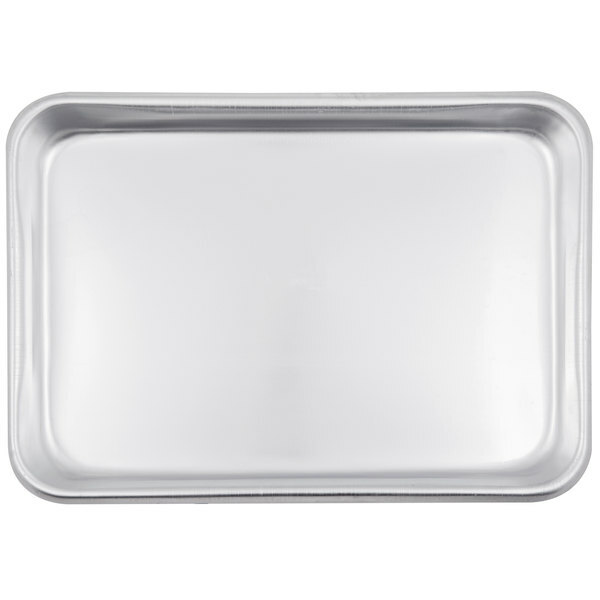 Aluminum Baking Pan with Handles - 17 3/4" x 11 1/2" x 2 1/4"
13 Qt. 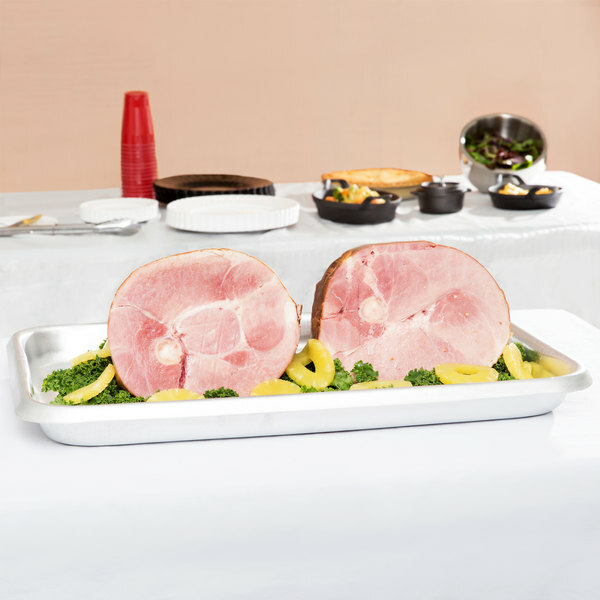 Aluminum Roast Pan with Handles - 26" x 18" x 3 1/8"
Overall User Rating: 13 Qt. 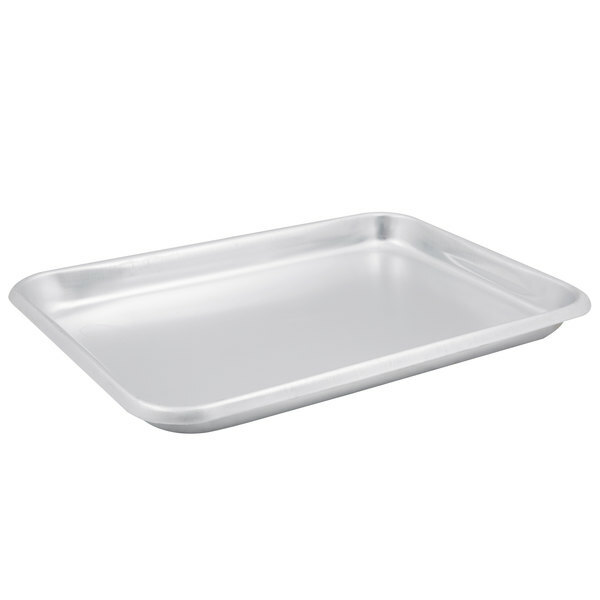 Aluminum Roast Pan - 26" x 18" x 2 1/4"
Perfect for our busy season and roasting turkeys. We got a bunch to use during the holidays. Saved some of the staff from the balancing act of hot of liquid and taking roasts out of the oven. We use these pans to roast jalapeños and onions for pizza toppings. These seem to work better for our purposes than a sheet pan which tends to dry our peppers and onions rather than roast them. These are very sturdy. I got 2 of these paans. Although I do not use it for roasting that often, as I use them to get me a big block of ice on which I prepare deserts live at stations. They are just the perfect size and amazing quality and very sturdy. Does the job for me!! Will buy again. These sheet pans are not easily dented or warped. They also clean up easily & have not become stained or tarnished even after many uses. Webstaurant.com's price is also unbeatable. Would highly recommend, Thank you! Great for roasting vegetables, especially since the edges won't allow things like carrots to roll off into the oven. I also use this for cakes, as the edges allow it to rise without going over. Better shape than traditional cake pans as well, so it's got a lot of uses in the kitchen. Easy to clean, good weight. When it comes to Roasting Pans with depth, this is the pan for you. 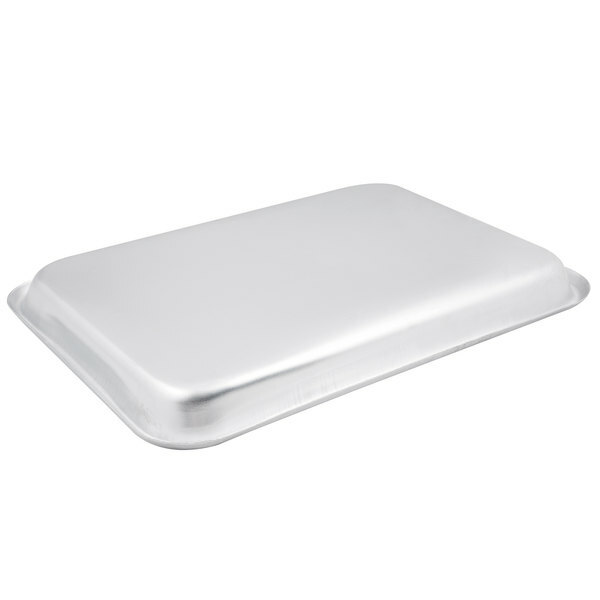 We use these pan to place our fried pies in our proofer oven. It is the perfect size and slides right in. We ordered 8 and will be ordering more. 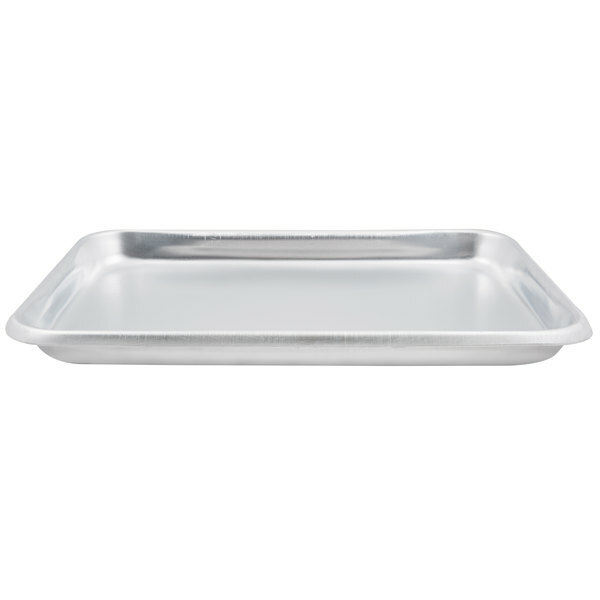 This is a large pan also perfect for chicken and turkey roasting! 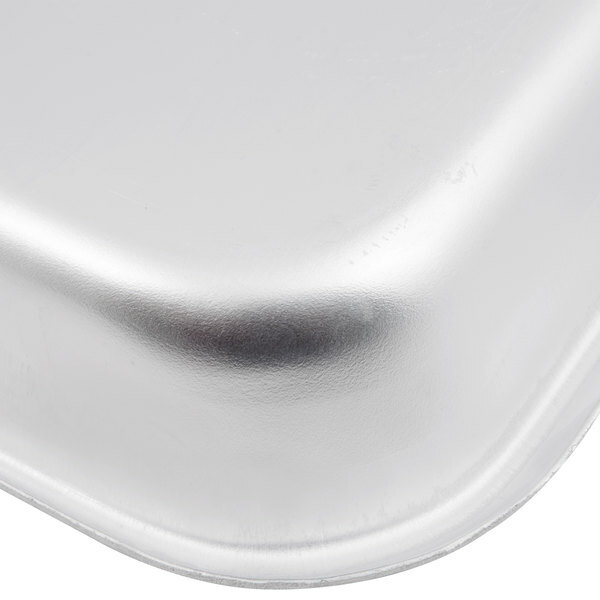 The full size Aluminum Roast Pan is a standard size, which is very accommodating as it works with all our equipment and storage stuff. We are happy with it's construction. Love these pans for baking cakes and brownies! The extra 2 inch lip around gives the stability for cakes to rise. Use these everyday and they hold up and wash amazingly. the roasting pan cooks evenly cleans easy I use it daily couldn't roast without it people started bragging on better tasting food after I purchase this roasting pan. Excellent, does exactly what we required for braising and roasting. Cleans up well after use. Kept our food nice and moist in the cooking process. I bought these as a gift for my church's kitchen. They baked the best baklava ever. They baked very evenly and the clean was easy.